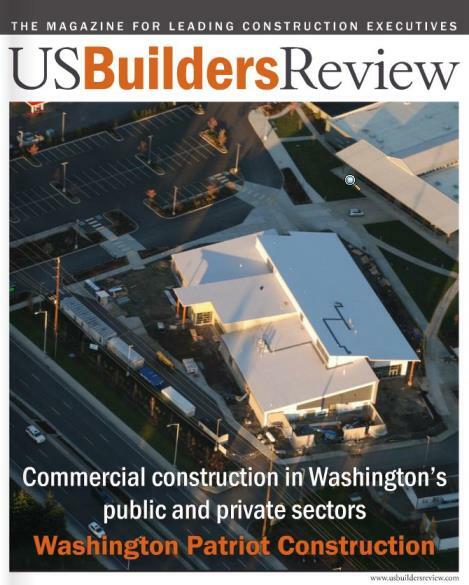 WA Patriot is proud to share that we have been featured in the Spring IV Edition of US Builders Review, a nationally recognized trade publication that reaches thousands of general contractors, developers, and other leaders in the construction industry. WA Patriot is being showcased as a Commercial Contractor in Washington’s public and private sectors, with focus on our passion for leading as an SDVOSB firm, serving our community, providing quality construction services, and building relationships. Please click on the link below to read our feature article.